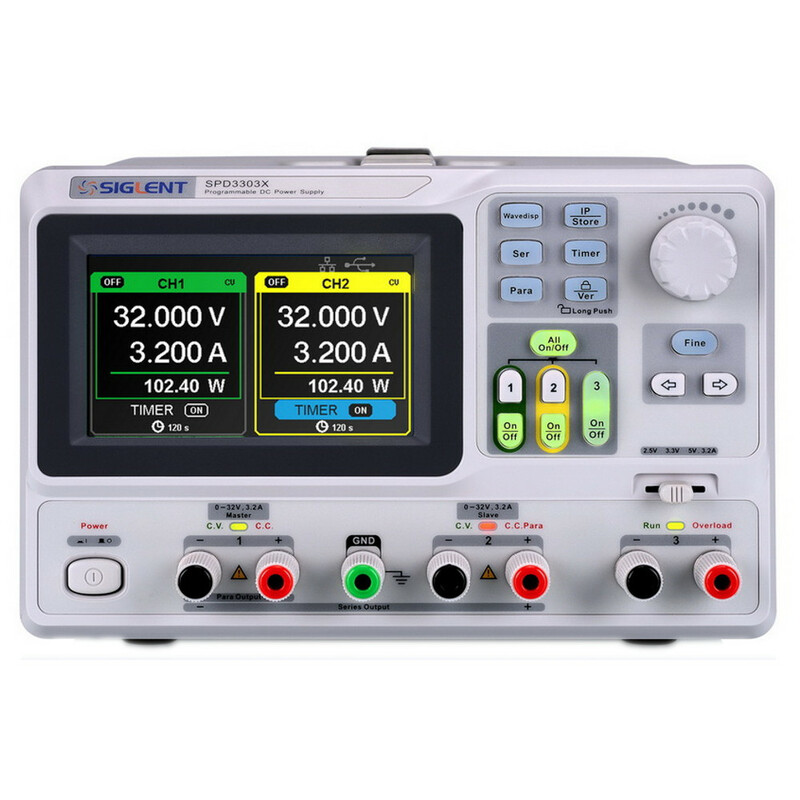 Siglent’s SPD3303X Programmable Linear DC Power Supply has a 4.3 inch TFT-LCD display, supports Remote Programming and has a Real Time Wave Display. The SPD3303X has three isolated outputs; two adjustable channels and one selectable channel from 2.5v, 3.3V, and 5V. 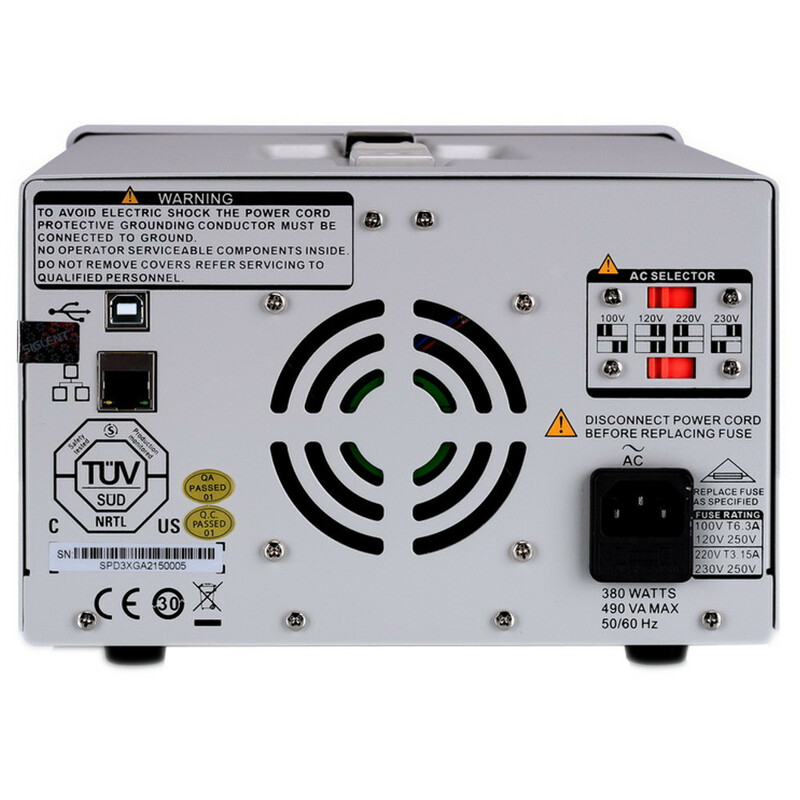 It also has output short and overload protection and can be used in production and development.